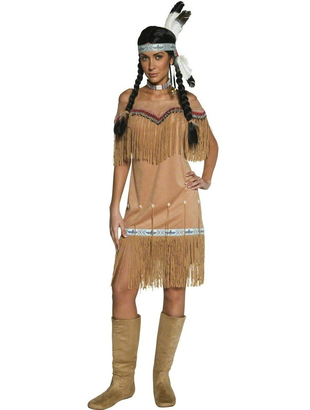 Authentic Western Indian lady costume consists of faux suede fitted dress with flattering fringe detailing. 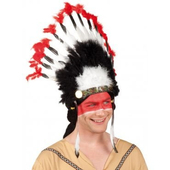 Please note the headpiece and boots are not included but similar may be purchased separately. 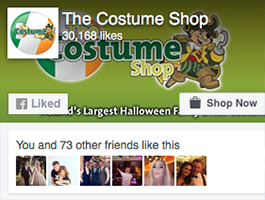 Costume is also available in x large dress size 20 - 22 in our plus size section.